We all have a smartphone. You’ve got one, right? With the EZcard you can be where people can find you - right on their phones. And they can reach out to you with the touch of a finger. The EZcard is a V-card on steroids, except with simplicity, flexibility, and convenience. It can be added to your contacts and do a lot more. Whatever can appear on the web, can be contained in your own EZcard. The EZcard can be used by an individual person, or managed by a team leader within a group. Keep in touch and always stay in the minds of people. Update and change the content whenever you want to tell the story only you can tell. You’re up-to-date and relevant with everyone you send the webAPP to. It’s a hub of information in your pocket. Transform the way you do business and always have your sales collateral with you to impress people at a moment’s notice. When you look good, your clients notice and want to work with you. No more excuses for an old sales kit. With EZcard, your material is always there, and since you can edit it yourself, it’s current. It’s a custom brochure in your pocket. 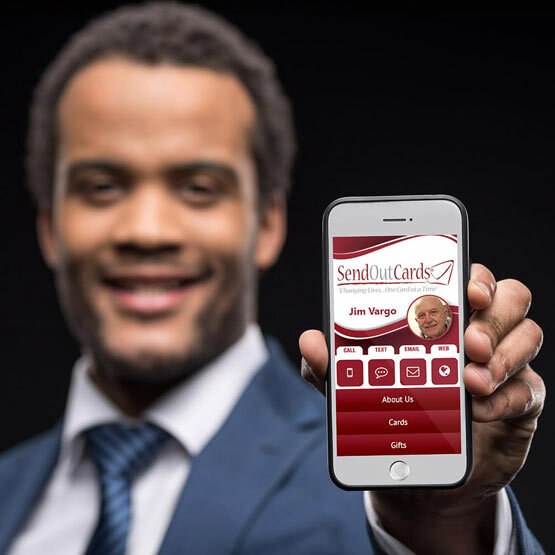 EZcard is a webAPP that works on Smartphones and functions as your business card and connection point for the things you want to present. 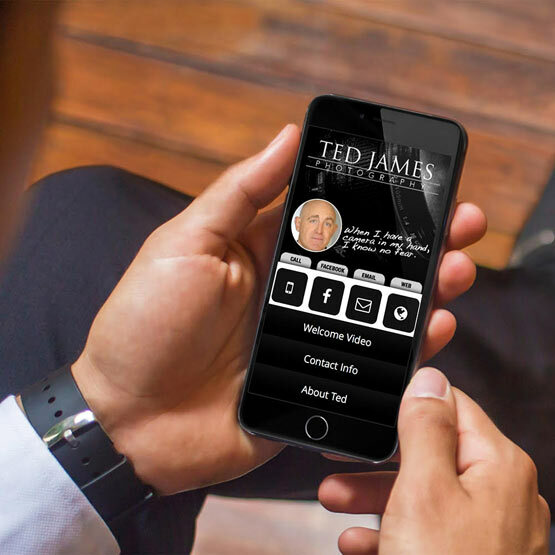 Each “card” can display your contact info and the things you want to show, like web pages, videos, photos and audio clips, social feeds, portfolios, and more. You have your choice of color schemes and visual elements, along with promotion and notification options. It’s editable by you, and is simple to create and maintain. EZcard allows you to always have the information related to you on your Smartphone.